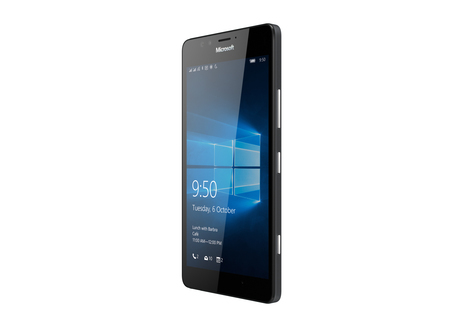 Microsoft has added the Lumia 950 and 950 XL to its Lumia portfolio of mobile devices featuring Windows 10, enabling a seamless transition across Windows devices. Designed for mobile professionals who require a smartphone that works like a PC, the devices feature high-quality HD displays, PureView cameras with 20 MP sensors and triple LED natural flash. Both models come with Continuum for phones, enhanced by the optional Microsoft Display Dock accessory. This allows users to connect their phone to a monitor or add a keyboard and mouse, while simultaneously taking calls or performing other tasks. They also feature a QuadHD AMOLED display with up to 564 ppi, which ensures good visibility even in sunlight. 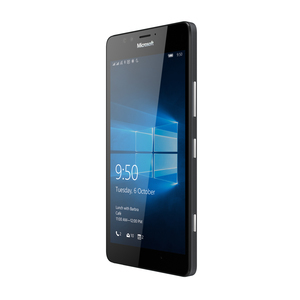 The 950 comes with a 5.2″ display, while the 950 XL has a 5.7″ display. Both phones also have the latest generation Qualcomm Snapdragon processors. They feature a microSD slot, supporting up to 200 GB of expandable storage, a USB-C charging port for data, AV connectivity and a 3.5 mm stereo headset. I am interested in Microsoft Lumia 950 and Lumia 950 XL smartphones .